Italy recently became the top wine producer in the world with twenty major wine-growing regions, and over 2000 indigenous grape varieties. 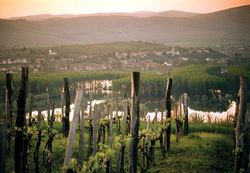 The wine tradition in the Czech Republic, and mostly in the idyllic hilly region of MORAVIA is as long as wine itself. 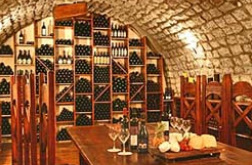 In July 2011 a Moravian winemaker won the title of best Sauvignon Blanc in the International Wine Competition of San Francisco, the most prominent of U.S.A.
Tokaji wine became the subject of the world's first appellation control, established in 1730 several decades before Port wine, and over 120 years before the classification of Bordeaux. In 1703, Francis Rákóczi II, Prince of Transylvania, gave King Louis XIV of France some Tokaji wine as a gift: delighted with the precious beverage, the king offered a glass of Tokaji to Madame de Pompadour, referring to it as "Vinum Regum, Rex Vinorum" ("Wine of Kings, King of Wines"). Beloved by Absburg Emperor Franz Josef, Queen Victoria of England, Napoleon III of France and endless monarchs, even Pope Pius IV. at the Council of Trient in 1562, exclaimed: Summum pontiloveficem talia vina decent! (This is the type of wine that should be on the papal table). 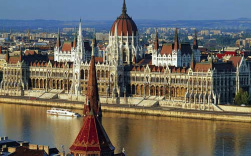 ALTERNA TOURS guides you to wine-tasting in the best traditional cellars to discover Furmint, Harslevelu and Muscat production of delightful and high;y appreciated white dry and sweet cuvee wines.